The Reimagining Health Collaborative (RHC) convenes churches and Christian communities in North Carolina and across the nation to engage more fully in God’s healing and restoring work through innovative and faithful practices of health and health care. 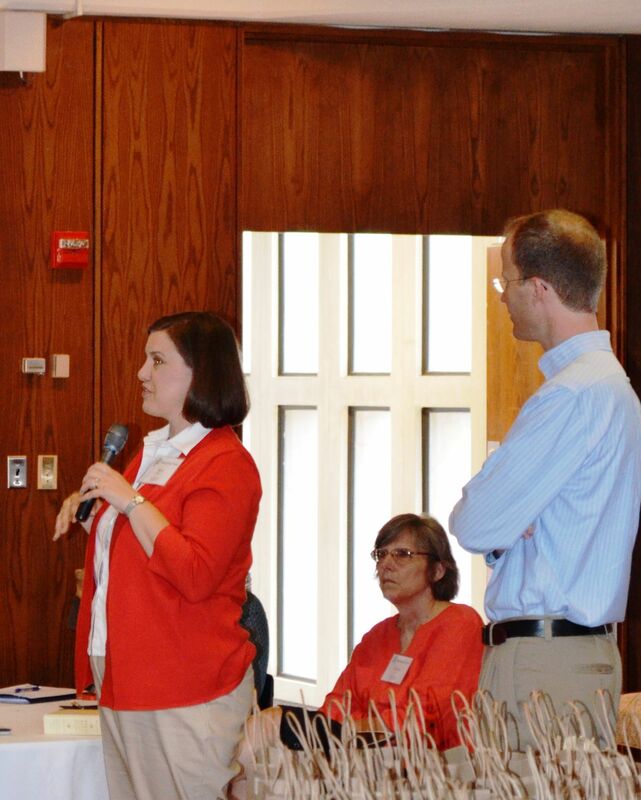 Over two years, congregations participating in the RHC partner with each other and with Duke Divinity School faculty and staff to envision and to enact new practices related to health and healthcare. Participating congregations engage in focused theological education around health and medicine, assess the needs and capacities of their congregations and local communities, develop and implement new or expanded “demonstration projects” around health and medicine, and learn from one another in an environment of shared mission and support. Participating congregations become part of an exciting network of partners, professionals, and programs seeking to promote the health of communities and to walk faithfully with people living with mental and physical illness or disability. Congregations are encouraged not simply to implement existing models for health ministry, but to imagine and pioneer new practices that fit the needs and calling of their community. For inquiries about RHC click here. In order to align with other exciting initiatives in the arena of Food and Faith, we have decided to delay the start of the “Church, Health and Food” cohort by one year, beginning in Fall 2019. Please look for further information about this cohort, as well as application materials, in early 2019. We will continue to work with churches and organizations in our 2016 and 2017 cohorts on The Church and Mental Health and look forward to sharing their stories and additional resources on our blog, through our newsletter, and on this site. RHC launched with a pilot cohort of 9 North Carolina-based churches in July 2015 and launched a second cohort of 15 congregational teams, focused more specifically on “The Church and Mental Health,” in July 2016. Under this model, the RHC launches a new cohort of churches each year in July and each cohort works on a common health-related focus area for two years. 2017-2019 Cohort 3: The Church and Mental Health, with a special focus on community-church partnerships. Receive practical resources for translating theological vision into congregational engagement. Convene in semi-annual Reimagining Health Collaborative Gatherings in the following year during January and July (2 days/1 night, on the Duke University campus). Several RHC congregation and organization members have already taken this course for adults, youth or both. This is a great practical resource for a church seeking to learn more about mental health and how to respond to individuals with mental health needs. Click here to find a course. This guide provides information to help faith leaders work with members of their congregations and their families who are facing mental health challenges. The Quick Reference is a companion to the guide. These materials were created by a Mental Health and Faith Community Partnership led by the American Psychiatric Association.